With other stores allowed to sell stronger beer, cider and mixed drinks, overall sales at the former state monopoly have declined by eight percent year-on-year. 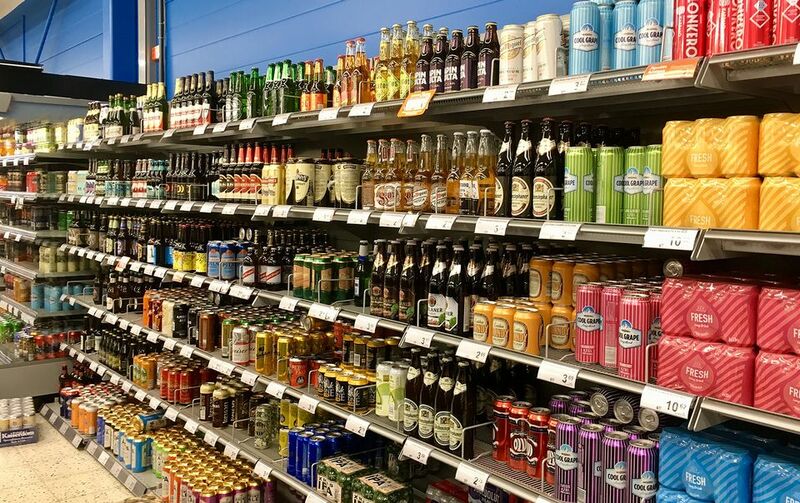 Sales of beers, ciders and pre-mixed long drinks by Finland's state-owned alcohol retailer Alko dropped significantly in the first month after grocery stores were allowed to sell stronger beverages, compared to a year earlier. In January Alko's sales of "lonkero" pre-mixed long drinks fell by 39 percent, beer by 27 percent, and cider by 12 percent in terms of volume. Overall, Alko's sales by litre dipped by nearly eight percent year-on-year. At the start of the year a revised Alcohol Act took effect, which removed Alko's monopoly on sales of strong beers, ciders and pre-mixed cocktails. The maximum alcohol content of beverages sold at places such as grocery shops, kiosks and petrol stations was raised from 4.7 percent to 5.5 percent. So far the decline in sales at the state shops has not been as steep as some predicted. Last autumn there were estimates that Alko would lose some 70 percent of the value of its beer, cider and long drink sales. That would represent an overall slump of seven percent in turnover and a 13 percent slide in sales by litre – and in monetary terms about 100 million euros annually. However, no long-term conclusions can be drawn from one month's statistics. A clearer picture of changes in consumer behaviour should emerge after the summer season. Alko warned a year ago of major job losses and store closures if sales were to decline according to predictions. Alko's staffing represents about 2,500 person-years. The bill presented to Parliament by the Centre-led government acknowledged that outlet closings would particularly affect sparsely-populated areas. To help offset this, it proposed that Alko could launch shops-on-wheels to sell to those in rural areas. Residents of some small towns already have the option of ordering drinks from Alko through local groceries or other shops. Alko now has 355 shops, which sold just over 93 million litres of drinks last year, or roughly 17 litres for every resident of the country. Alko's sales by litre have been declining steadily over the past decade since a peak in 2007, when it sold over 113 million litres of drinks. 1.32 pm: Clarified that sales comparisons are year-on-year.